Itâ€™s that time of year again! What did I do well last year? What didnâ€™t I do so well last year? 1. Two online courses launched, built, and now serving over 150 students. This was a major goal of mine for 2017 and Iâ€™m happy to say â€“ it got done! Say hello to InstaGrowth Boss and Freelance Biz In A Box if you haven't met yet. Not gonna lie, there was some major blood, sweat and tears that went into pre-launching, creating and running two live courses. But the results my students have gotten for themselves make it all OH so worth it. 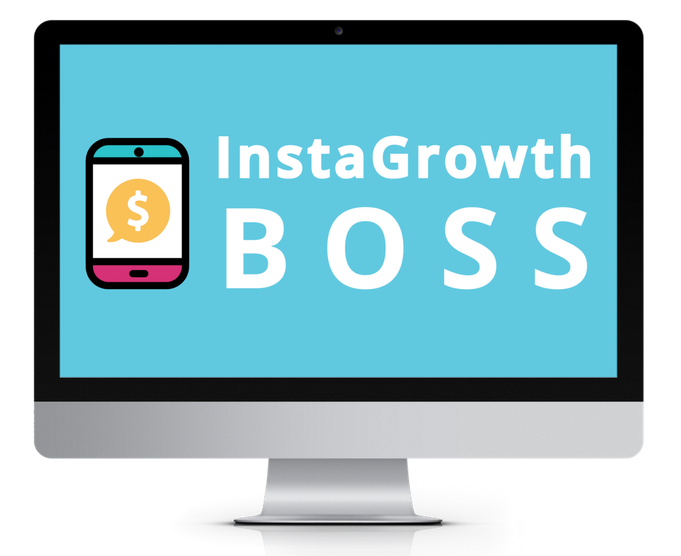 In fact, with InstaGrowth Boss, my course that covers Instagram growth and monetization, the results from the first live round were SO good that I ran a live version of the course again in November. More of this coming in 2018, for sure! 2. Got into the groove of 1-on-1 coaching. When I hired my first business coach back in 2016, the goal was to learn how to coach others. After working 1-on-1 with coaching clients for over a year now, I can say that the best way that I learned how to coach was baptism by fire. *Caveat: I found the best way to TEST my coaching skills was to first offer it for free to a friend. That gave me a real sense of my knowledge and ability to teach. Then I jumped in and offered it as a paid service. You know more than you realize, and you truly can help make an impact in someone elseâ€™s life. This ðŸ‘†ðŸ�¼ I see now more than ever â€“ after helping 11 clients either launch or grow their own business. I even invited a few of them to chat with me live on my Facebook page to talk about their successes. Feel free to watch any that catch your eye! 3. Spent 2 full months abroad on fully sponsored trips; embraced the â€œinfluencerâ€� role. February was spent in Nicaragua with Nomad Life, and November was spent in Bali with PACK. Both of these sponsored trips allowed me to escape the cold of Toronto, work abroad while growing my business, and solidify my position as a female digital nomad. Because of these agreements, I also got really comfortable wearing the hat of â€œinfluencerâ€� over the last year. Taking photos to show my work setup or view? No problem. Before... this would have been #awkward city (still kind of is, to be honest). My boyfriend also really embraced supporting me in this role as heâ€™s the one taking photos of me most of the time ðŸ˜�. 4. Received shout-outs in major press like Forbes, Entrepreneur and Smart Passive Income. Seeing my name published in Forbes and Entrepreneur.com was crazy validation for the work that I had done. It made me realize the power of media and press, and how it can catapult a business to the spotlight. 5. Invested in backend software, courses, and more coaching. In an effort to grow and scale as I set out to do in the beginning of 2017, I knew Iâ€™d be investing in my business like never before. Many of my big-ticket monthly expenses went to software like ClickFunnels (now an everyday staple in my biz), online courses, and 1-on-1 coaching or services from other experts (we're talking to the tune of $10,000+). Yes! I set out to hit 6-figures at the start of 2017 and for the first time ever in my biz, I did it. Now before you start envisioning me diving into a pool full of cash, one thing I learned about hitting this goal was that earning 6-figures in revenue doesnâ€™t come close to meaning that youâ€™re actually taking home 6-figures. Remember #5 where I said that I invested in a ton of programs, tech, courses and coaching? Yeah, a lot of the money I made in 2017 went right back into the business, or went to expenses to keep the business running or growing. Many people donâ€™t know this, but by running my agency Canupy, I have a team of 3 part-time contractors. And between my two businesses, Iâ€™m paying for A LOT of programs to keep things moving. I realize that by just sharing â€œI hit 6-figures!â€� with you, Iâ€™m actually doing a disservice. This paints a false picture about what entrepreneurship and running your own biz is actually like. So as a way to be more real and transparent, Iâ€™ve decided that Iâ€™ll be publishing monthly income reports so that you can literally see how much I earn as an online business owner, how much goes to expenses, and how much I take home. More transparency, coming your way in 2018. It seems like this is a very wanted (and needed) thing. 7. I took some downtime. Now this is a major win for me, and the reason why one of my goals for 2018 is to actually take two full months off. In April of 2017, I launched InstaGrowth Boss. In May, I ran the live program and course. By June, I was pooped. I effectively took June off (not fully, but I was definitely working lighter hours) as a way to recoup. Then in December, I intentionally took 3 weeks off for my trip to Kenya so that I could truly enjoy it (without being a frazzled stress-head looking for wifi cuz â€œitâ€™s time to post.â€�). Knowing that my business is growing AND Iâ€™m able to take time off when I need to or plan for it? Double win. 8. Officially became a corporation. In mid-2017, I incorporated my agency Canupy to become... Canupy Inc. It's official! Now both my businesses are run under Canupy Inc. This doesn't mean much to an outside viewer, but internally, it changed the structure of my business when it came down to finances, paying my contractors, and paying myself. Plus, it forced me to get a business banking account so now my personal finances are totally separate from my business' finances. 9. (Personal) Worked with a trainer from May onwards. After my first major launch in April, it became super clear that I needed to add mental breaks into my day. Being a workaholic + launching for the first time = a LOT of stress. My boyfriend got the brunt of my stresses (ðŸ¤—) and so after the first launch, we both agreed that to do that again, Iâ€™d need a better plan for my stress management. I've been a sporadic gym-goer over the past few years, but Iâ€™ve never been consistent about it for more than a few months at a time. My dream has always been to have a personal trainer to keep me accountable and â€“ honestly? â€“ so that I wouldnâ€™t have to think when I got to the gym. All I wanted to do was show up â€“ and turn my brain off. So in May, I hired a personal trainer â€“ Tony Bahia from Sole Kinetics. Check him out if youâ€™re in the downtown Toronto area. So overall, 2017 was pretty... amazing. 1. Scattered focused and work systems. (Example: right now. Trying to finish this blog post ðŸ˜�). Sometimes, I still work like Iâ€™m in college. You know... leaving things to the last minute, so that I get them done fast and effectively right before the deadline. While itâ€™s great to get something done fast when youâ€™re hyper-focused, it's not so great to work late into the night. But then? Itâ€™d feel like a 12-hour work day. For 2018, I know I need to stick to my systems that I have in place to stay focused (ie: 90-day goals, a planner for my notes, my morning routine, and the Pomodoro Technique). And, I likely need to hire a VA or a project manager to really let in to my business... to help with the niggly things so that I can spend less time "in the weeds" of my business (for example: creating graphics, transcribing captions, formatting blog posts, editing videos, etc.) and more time in the content creation or higher-level management spaces. 2. Making more money = spending more money. When I had my first 5-figure sales month in April, I made a classic rookie entrepreneur move. ...I went out and bought a $2,000 course because suddenly, I felt flush with cash. Truth was, the sales from April were just covering the costs I had already invested into my business up until that point: like coaching, services and programs. So when I realized my mistake, and how I was adding unnecessary expenses to my business, I quickly read and implemented the Profit First system. It took about 6 months until I saw the method working in my business, but now the proof is in the pudding: there is profit in my business account (Iâ€™m in the black!) and I have a better handle on my expenses. In 2018, I'll be more ruthless with my expenses, too. 3. Not being a great team leader. At least, not being the organized team leader I would like to be. Perhaps thatâ€™s why I felt I needed a co-founder for Canupy so badly in 2016. This year, I could see that I wasnâ€™t on top of checking the work of my contractors and giving feedback in a timely fashion â€“ as much as I would have wanted to be. To manage, I made a conscious effort to only take on a tiny amount of new clients to Canupy. Not a great plan for long-term growth so for 2018, I know I need to get better systems in place so that Iâ€™m not a bottleneck for my contractors. AND Iâ€™ll likely need to hire a VA or project manager to help with my EliseDarma.com business. 2018 will be a year of letting go! 4. Inconsistent content creation and publishing. Ugh, this one hurts to admit. Because I know the importance of consistency, and this is exactly what I do for my clients of Canupy. But for my personal businessâ€¦ wah wah. For 2018, I plan to be consistent with weekly content, whether in the form of blogs, YouTube videos, Facebook Live videos, or â€“ ideally â€“ all of them. 1. Sharing InstaGrowth Boss with the world. It was this time last year that the idea for the course came to be. And now, itâ€™s been almost a year of helping students get results. The results speak for themselves, and so I owe it to myself and others looking for InstaGrowth Boss as a solution to get in front of them. 2. Getting â€œout thereâ€� in the press and at live events. Iâ€™ve got the press bug. Now Iâ€™m ready for more podcast interviews, FB Live chats, and Forbes features (ðŸ˜€). Plus, Iâ€™m investing into my business big time by attending a handful of live events that have great networking opportunities, like Social Media Marketing World, Traffic & Conversion, and Funnel Hacking Live. Each event typically costs at least $2,000 at minimum (for the ticket, flights and hotel) so they are definitely an investment, and Iâ€™m planning to be as prepared as possible for each one â€“ to make the connections I set out to make. 3. Being consistent with content creation and publishing on Instagram, YouTube and Facebook Live. This one is pretty self-explanatory considering itâ€™s one of the things that didnâ€™t go well in 2017. 2018 will be all about getting high-quality content out there on a consistent, reliable basis. 4. Growing my mailing list and doubling my revenue. Why am I so focused on getting consistent content out there? Some platforms Iâ€™ve chosen to focus on in 2018 (my blog, Pinterest and YouTube) all have crazy SEO powers. By driving more traffic to my website or YouTube channel, Iâ€™m also driving attention to my freebies (to grow my mailing list) and my products and services (to grow my revenue). With a larger mailing list comes more sales through email marketing, and a bigger list of people to target in my Facebook ads. Thatâ€™s the gist of the strategy so with that said, by the end of 2018, Iâ€™d like to have a mailing list of 20,000 and revenue of $250,000. 5. Holding an in-person, tropical retreat for my audience. Now this one just makes me giddy to think about. Having experienced a digital nomad retreat with PACK in Bali, and having co-worked and co-lived in Nicaragua for a month, Iâ€™m 110% IN for in-person events and retreats. Iâ€™d like to host a retreat of my own for a handful of budding digital nomads whoâ€™d like to work together for a week in a tropical environment, along with coaching and masterminding. Along that thought, I might also consider opening a membership site for a more affordable option than 1-on-1 coaching. I say this because... my coaching schedule will likely become more limited this year, so Iâ€™ll be looking to scale my time through a membership site â€“ where I can help more people. Last year, I wanted 2017 to be about scaling. Looking back, there was some scaling that happened in 2017, but there is major room for improvement there. Building courses, building my audience, and building systems inside my business. I think 2018 will be a year of actual scaling and growth. By putting myself out there consistently with high-quality video and blog content, and getting featured in major press platforms. With that in mind, I think my theme for 2018 is: spotlight. Stepping into the spotlight more than ever before and driving attention to my business and creations. I know they are solid. They get results not just for me or my clients, but for my students too. And itâ€™s time that I reached a broader audience of online business owner, influencers and travel bloggers. Share your own 2018 goals with me! Share your own 2018 goals with me right HERE. I've created a 5-10 minute survey where you can share your focus with me. Your feedback will 100% shape my plan for the free content I'll create this year, with the aim of helping you reach your goals faster. Again, the link to share your 2018 goals with me is right here. I can't wait to read what you want to achieve! If youâ€™re looking to scaleâ€¦ and youâ€™re taking a peek over at Instagram.